Facebook might not be the ideal social network for everyone right now, but it’s pretty handy when it comes to discovering or planning events. And it’s never a bad idea to port these events to Google Calender to keep track of your schedule easily. Here’s how. Head to Facebook on your desktop, and head to the Events section. Scroll down till you find the section to export events (as shown in the screen grab below) under the Upcoming Birthdays section. Click on Upcoming Events to download the calendar file for that section. Head to Google Calendar’s site on your desktop, and click on the three-dot menu near Add Calendar. Click Import, and upload the Facebook Upcoming Events iCALfile. Once, the file’s imported you’ll see the new calendar in the other calendars section. Repeat the process to import Birthdays Calendar to Google Calendar. 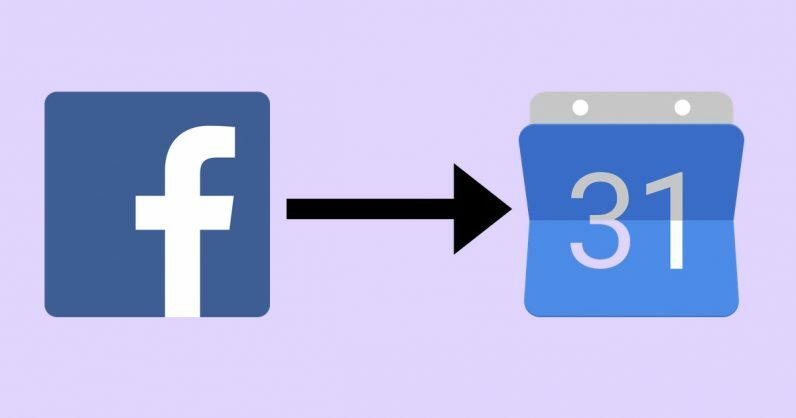 This will bring all your existing and future Facebook events to your Google Calendar; to turn them off, simply head to Google Calendar, and uncheck the boxes alongside the Upcoming Events and Birthdays calendars that the app displays for you. Alternatively, you can use the Checker Plus for Google Calendar browser extension for individual events. The free extension – which works great – brings your Google Calendar events within easy reach, and also adds a button to Facebook events so you can add them quickly. The extension works with Chrome, Opera, and Brave, and you can install it by visiting this page. To use it, open a Facebook event page and then click the extension’s calendar icon in your browser toolbar, towards the top right portion of the window. It’ll show you a button to automatically add the event to your calendar.